Just grab a filter from the auto supply store or Wal-Mart and put it on when you change the oil. That rugged Cummins diesel engine under the hood of your Ram won’t notice the difference right? Maybe so, maybe not. Are you willing to be the service life of your diesel engine on just any oil filter, or do you want the best protection for your engine? Going with the lowest bidder makes sense if all the suppliers sell the same item, like copier paper. But when quality counts, as it does for a critical item like an oil filter, a couple of extra bucks is just cheap insurance against unnecessary engine wear and premature failure. 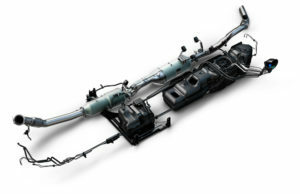 The question becomes, can you afford not to care which filter you fit to your truck? We’ll try to help you sort this out. Every brand of truck has their own line of parts, accessories, and filters (if you can’t spell Mopar by now, maybe you’re reading the wrong article), and there are plenty of aftermarket suppliers as well. What you may not know, and what seems to be guarded as Top Secret in the automotive industry, is that there are far fewer oil filter manufacturers than suppliers. Just because it says ABC on the label doesn’t mean it wasn’t made by XYZ. Some folks in the industry don’t make a secret of their relationship, such as Wix making NAPA filters, but getting at the truth in other cases can border on industrial espionage, as some manufacturers may have to sign non-disclosure agreements with OEM and others for whom they build filters. Now here’s a question that would stump most of the hopefuls on a game show. “Does the oil flow into a spin-on oil filter via the little holes around the center or the big hole in the middle of the filter?” Let’s work into the answer by talking about just how a filter operates. After all, a spin-on filter is really a disposable machine that keeps your oil from becoming the equivalent of valve grinding paste as it courses through your engine. As soon as a bit of metal is worn off a moving part, it becomes and enemy agent, ready to do damage as it circulates with the oil. The filter’s job is to neutralize the threat as soon as possible by removing it from the oil stream. The open end of an oil filter is the base, a heavy steel disk with a large threaded hole for attaching to the engine block. Surrounding the big hole are usually six or eight smaller ones, and all together they provide the input/output system for the filter. A sheet steel shell or canister, the main body of the filter, is crimped to the base. Inside the canister may be up to five more components: the filter element or cartridge, a gasket or adapter that fits between the cartridge and base, a bypass valve, an anti-drainback diaphragm, and a spring. The cartridge is a cylinder of a few dozen pleats of filter media (usually a cellulose-based paper-type product) surrounding a perforated metal core. The filter media is glued to end caps, which are usually metal, to keep it in place. The metal core inside the filter cartridge prevents the element from collapsing under the pressure of the oil passing through. One of the cartridge’s end caps has a large hole in the base that matches the threaded hole in the base, and the other may include a bypass valve. Surrounding the center hole in the base and covering the inflow holes may be a anti-drainback diaphragm made of rubber or a similar flexible material. The spring, which can be a coil or leaf-type unit, fits between the top of the canister and the filter cartridge to hold the cartridge in place. No rocket science here, just a modest little mechanism. How does the oil filter work to protect your engine? Pretty simply, but with lots of leeway for design differences, component qualities, and engineering trade-offs. I’ve already given away the final answer to the question posed earlier, but here it is again: during normal operation, oil enters the filter under pressure through the small holes in the base, passes through the filter media, and exits via the large enter hole. All the bad stuff stays on the outside of the media, and oil comes out ready to pick up another load of grunge on the next trip about the block. How much cleaner the oil is when it exits than when it entered depends on the filter media. The most damaging particles have been determined to be in the range of 10-30 microns. 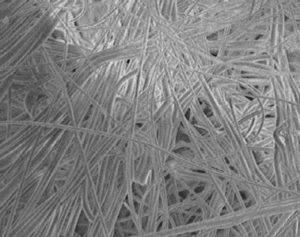 Compare that to the typical 70 micron thickness of the human hair and you can see that we’re talking about some pretty small stuff. A bypass valve comes into play whenever the engine needs more oil that can pass through the filter media quickly. It opens when there’s a pressure differential between the inside and outside of the filter – typical value might be 10 psi. When the valve is open, oil bypasses the filter media and shoots straight back to the engine, just like the filter wasn’t there. A couple of things can make this happen. 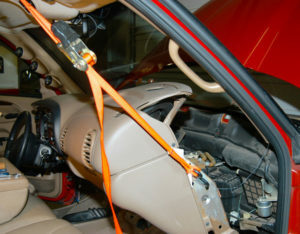 The first is cold engine start-up when the oil is too thick to pass easily through the filter media. 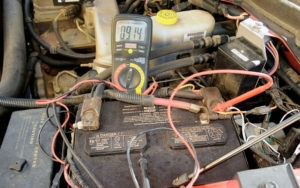 The pressure rises because of the restricted flow, the bypass opens, and your cold engine get the lubrication it needs at a critical time (normal pressure in the 12-valve Cummins is about 40 psi, but may rise to 60-65 psi during cold cranking). The second condition that will cause bypass is hard throttle operations, when oil pressure climbs and the engine needs oil now. Oil can also take the short trip through the filter because the filter element is clogged, meaning that someone waited too long for an oil change. Now with all that behind us, I have to tell you that you won’t be seeing bypass valves in oil filter for Cummins engines for the simple reason that the bypass mechanism is part of the engine for the Turbo Diesel. 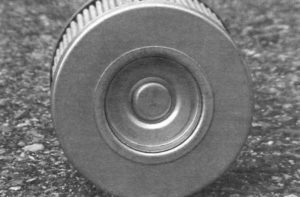 Below is a photo of a motorcycle filter’s by pass valve just to give you an idea of what this spring-loaded button might look like. Bypass valve in a motorcycle filter. Once you get to where you’re going and shut ‘er down, oil pressure drops to zero and the anti-drainback diaphragm, if the filter has one, flops into place to seal off the inlet holes. This keeps a pool of oil in the filter so there’s no lag in oil delivery for the next start-up and prevents unfiltered oil from draining back into the sump. Sure, it would get filtered on its next trip through, but why not clean it while you’ve got it? The anti-drainback diaphragm is one reason an oil and filter change can use more oil than changing just the oil, and why its hard to completely drain used filters that are equipped with one before you recycle it. As a Cummins diesel owner, you won’t have to worry about this. Your filter hangs from the bottom of the engine so there’s no need for an anti-drainback valve on your filter. Parts is Parts, Or Are They? 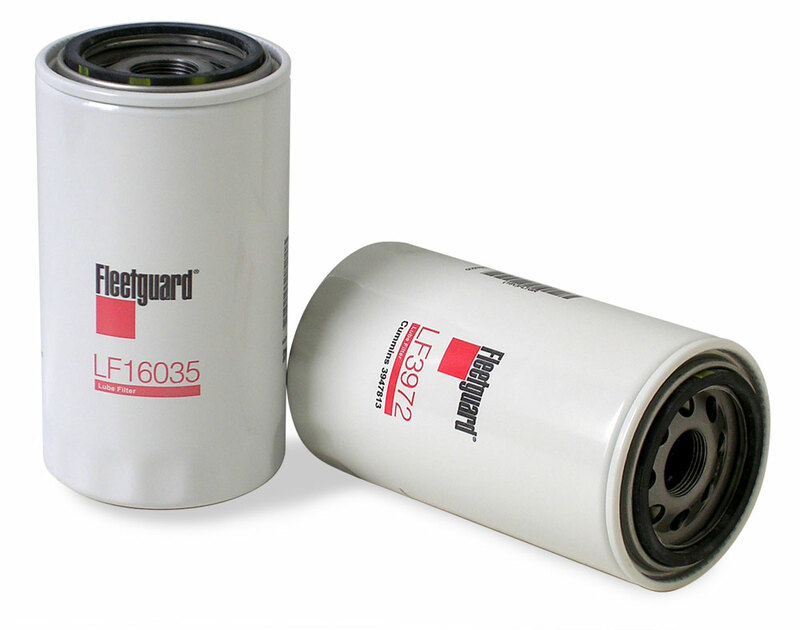 Just like your truck, an oil filter is the sum of its parts. If any component is deficient, the whole machine is diminished – but that doesn’t mean some parts aren’t more important than others. Although it needs all the supporting players to do its job properly, the critical part of an oil filter is the filter media. Different media will not only trap different sized particles, but they can also have different flow rates. The ideal media has two opposite qualities: high flow from large passages, and small particle entrapment by small passages. Energy that’s not used to pump oil can go to (albeit, minimal) drive the wheels, so free flowing filters can a have a performance impact too. Fleetguard gave us some numbers on the filtering efficiency of cellulose and synthetic filter mediums and their flow rates.The paper cellulose media removes 30% of 10 micron oil contaminants and 95% of 30 micron contaminants per pass, whereas StrataPore synthetic media bumps those numbers to 60% at 10 microns and 100% at 30 microns. There best part is that there’s no flow rate difference between the two types of media. Technically speaking, in paper cellulose filters the cellulose fiber is covered with a phenolic resin, which when heat cured, give the media its wet strength. This resin, combined with the irregular size of the fibers, takes up a lot of flow area. This results in fewer paths through which the oil can flow as compared to StrataPore filter media. Also, the cellulose paths are irregular (some larger, some smaller), resulting in lower efficiency. In contrast to the irregular size of the paper/cellulose fibers, the StrataPore filter media can be better controlled. StrataPore is multi-layer polymeric filter media. 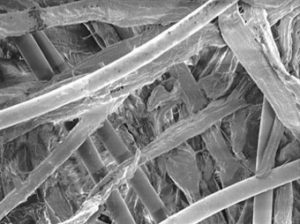 Using a Melt Blowing process designed by Exxon, molten polymers are extruded through a spinneret that forms multiple fibers. High temperature, high velocity air is used to draw the fibers to small diameters which are collected on a screen forming a fine-fibered non-woven media. The benefit to the customer: Consistent fiber control in a three-stage (coarse, medium and fine) filter design. Three main things to remember here are: (1) Synthetic media can be engineered to remove finer particles while still maintaining good oil flow, (2) Synthetic media has the capacity to hold more dirt than paper/cellulose media due to the smaller cross-sectional area of the media fibers, and (3) Synthetic media costs approximately three times as much as paper/cellulose media. Logically you think that in order to remove finer particles that there would be restriction to oil flow. As mentioned, that is not the case with the Stratapore synthetic media. To understand this, the Fleetguard tech service guy told me to draw a bunch of random, intersecting lines on a paper. Do so and you’ll see small gaps here and large gaps there. That is what the paper/cellulose media looks like under magnification. Now, to visualize the synthetic media, draw uniform vertical and horizontal lines on the paper. With the uniform pattern you can visualize how the synthetic media gives better filtration and better flow. Got it?